Interested in helping make wireless power as ubiquitous as the electrical outlet? We'd like to hear from you! For potential partners and team members, reach out to us by completing the form with a clear message on why you'd like to join forces with us! 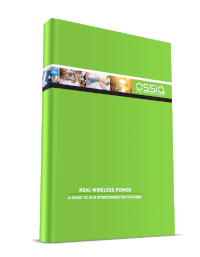 If you are a member of the media, an investor, or a business that could benefit from wireless power - we’d love to chat with you too! Please complete the form and a member of the Ossia Team will get back to you. Tech Enthusiasts: Sign up for news and updates below!